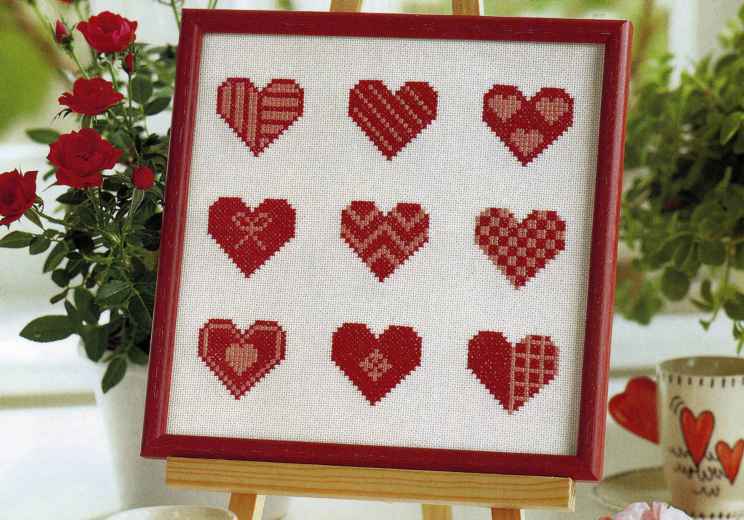 You will need: 25 x 25 cm white cotton cloth (107 yarns/10 cm); floss; embroidery needle, 25 x 25 cm flizofiks; frame. The execution of the work: embroidery floss in 2 addition, capturing 2x2 threads of the fabric. 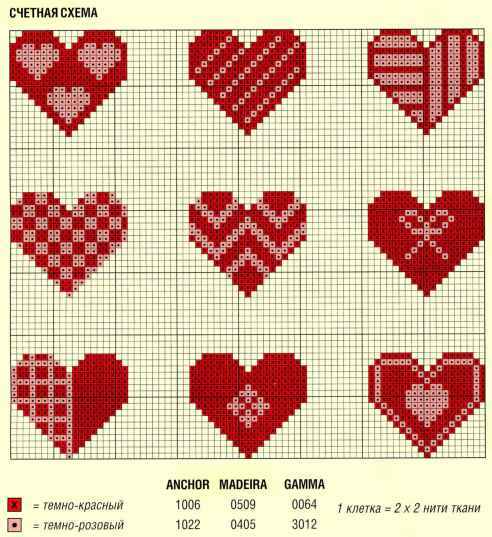 Motive with hearts to embroider on the counting scheme. Embroidery steam iron on the reverse side. Open sections were treated with zigzag stitching. Flizofiks priotity on the wrong side of the fabric. Insert panels into the frame.